Please join me for an adventure of a lifetime to India. On this tour we will be visiting some of the most important Buddhist pilgrimage sites as well as many other points of interest. We will meditate under the Bodhi tree, a descendant of the very tree where Buddha was enlightened 2500 years ago.This was one of the highlights for me of the 2017 tour and an experience not to be missed while in India. Pilgrims from all over the world travel here and it is truly an amazing experience to be at ground zero for the awakening of Buddha and Buddhism. We’ll also visit Sarnath, where Buddha gave his first sermon. Sarnath is close to Varanasi, where the famous Aarti ceremony is held every night at sunset on the Ganges. This is another not to be missed highlight that can’t be fully captured in words. In addition, a tour of India wouldn’t be complete without visiting the Himalayas. This year, we’ll travel to Dharmsala, home to the Dalai Lama and the Tibetan community in exile. Finally, there’s an optional two day extension to visit Amritsar and the Golden Temple. The tour is guided by expert local guides in India, and I will offer meditation and dharma discussions along the way in various locations, from hotel gardens to Tibetan monasteries. For the full itinerary and cost, go here. If you are considering this tour and would like to talk to me directly, feel free to email ernst.lisa@gmail.com. During this retreat, we will explore the nature of our identity and sense of self we use to live in the world, as well as the wise space of heart and mind that lets go. As we practice meeting all of the activity of self with mindfulness, steadiness, and kindness, our insight and compassion grow. The more we make peace with our ego, the more we dwell in our own boundless, empty nature. These practices also empower and support us in our challenging everyday lives. 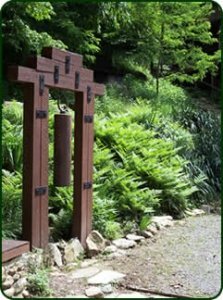 This silent retreat will include periods of sitting and walking meditation, daily instructions, dharma talks, q&a and meetings with the teacher. All experience levels welcome. For full info and registration, go here. True refuge is turning toward our experience and finding freedom in the way things are. This silent retreat will provide a time to turn inward, to give our hearts and minds a respite during these challenging and often chaotic times. We will cultivate a quality compassionate presence that embraces our joys and sorrows with equanimity and insight. Through these practices, we begin to dissolve the illusion of separateness and taste the joy of interconnectedness to all things. This retreat, held mostly in silence, will include periods of sitting and walking meditation, daily instructions and dharma talks, q&a and optional meetings with the teacher. All levels of experience are welcome. Cost is $175 and includes lodging and all meals. Teacher compensation is separate and is offered on a dana (generosity) basis. Lisa Ernst is a meditation teacher, visual artist and founder of One Dharma Nashville. She has been meditating for over 25 years in the Zen and Vipassana traditions and received teaching authorization in the Thai Forest lineage of Ajahn Chah, Jack Kornfield and Trudy Goodman. Lisa offers meditation training and retreats nationally and she is a visiting teacher at Spirit Rock Meditation Center in Woodacre, CA. Check Out My New Meditation Website! Hi, I’ve finally completed my new website, dedicated to my dharma teaching and meditation. Please drop by and let me know what you think. If you’d like to subscribe to my new email newsletter, just scroll down to the bottom of the front page and you’ll see the sign up form on the right. This program will help you deepen your own practice and learn the vital tenants of Buddhist mindfulness meditation in a format for skillfully sharing it with others. You will also learn how to lead effective guided meditations, give meaningful talks about mindfulness and meditation and answer questions skillfully. You will benefit from an engaged learning environment with peer and teacher support. 24 hours of teacher led class time, 30+ hours of course study, practice and peer engagement, guidance for daily study, teacher support and review. Our study guide for this class will be Mindfulness by Joseph Goldstein. A minimum of two years consistent meditation practice, meditation retreat experience, participation in a sangha or other such community. This program is not a lineage empowerment to teach the Buddhadharma, which requires years of study, teacher mentoring, deep commitment to daily practice and numerous meditation retreats. But for those interested in this path, the program can serve as a step along the way. For others the training will provide a foundation for deepening your own practice while learning how to effectively share it with others. On successful completion of the course you will receive a certificate from One Dharma and Lisa Ernst verifying that you have been trained and approved to facilitate and instruct others in essential mindfulness and meditation practices. Opportunities through One Dharma and the greater community will be available. If you are interested, please email Ernst.lisa@gmail.com for full course description, fee, class dates and application. The class will begin on June 21, 2018. 1. Why meditate for ADHD and/or anxiety? Research shows that mindfulness practice improves concentration, attention regulation, self-observation (of mental activity), working memory, and emotion regulation. The workshop will be held at The Nashville Friends House, 530 26th Ave N. Cost is $60 and is due by the July 21 registration deadline; after $70. A reduced fee is available to anyone who can’t afford the full fee. Payment can be made by check or paypal. For paypal, go here and enter the amount due in the “price per item” box. To pay by by check, instructions are at this link. Please include your email address. Contact ernst.lisa@gmail.com or tmhuff@comcast.net to inquire. Terry’s book is available at terrymhuff.com. The workshop location is Nashville Friends House, 530 26th Ave N. Cost is $60 and includes a copy of Terry’s new book, Living Well with ADHD. Registration deadline is October 28. Workshop cost is $70 after this date. Payment can be made by paypal at this link. If paying by check, instructions are here. A reduced fee is available to anyone who can’t afford the full fee. Contact ernst.lisa@gmail.com or tmhuff@comcast.net to inquire. This is the second part of a podcast I did with Adam Hill at Radnor Lake. In this silent retreat we will stabilize attention and deepen concentration through the breath and body, then gradually open our awareness to the boundless space of mind and heart. These practices will help us relax into freedom from our habitual thoughts and patterns and find equanimity in our present moment experience. Cost: $50, plus dana (generosity donation) to the teacher. A reduced fee spot is available in the case of financial need. The retreat fee can be paid by Paypal here. Directions and additional information will be emailed prior to the retreat. Please contact onedharmaretreat@gmail.com with any questions. Here are some photos of One Dharma’s new Nashville meditation space. Its spacious, serene and quiet. We also love the raised ceiling and skylight. If you live in or near Nashville and haven’t come by yet, please come see the space in person and join us for meditation. We meet Mondays, 7 – 8:30 p.m. Directions and additional info here.